The HOYA® Toric Calculator (HTC) is a resource for the treating physician to aid in proper IOL cylinder power selection for cataract patients with corneal astigmatism. The HTC requires the user to input patient biometric data and planned surgery information that is part of an ophthalmic work up prior to Toric IOL (TIOL) implantation. 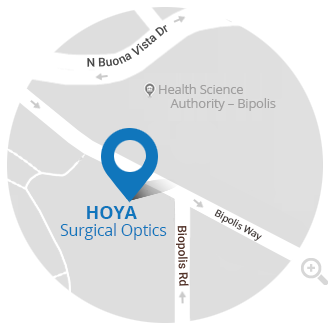 The HTC will suggest several HOYA Surgical Optics TIOLs from which the surgeon may choose to treat a patient’s refractive cylinder resulting from corneal astigmatism. The HTC will also provide suggested intra-operative axial placement of the TIOL that is intended to minimize postoperative astigmatism based on the information provided. The recommended lenses and axis of placement are to be informative for the user and are not to replace the medical expertise or judgment of the surgeon or operator.